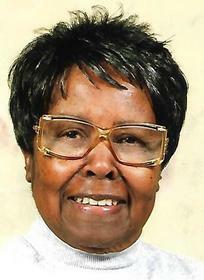 Mrs. Annie Jones, 83 of Forrest City, died Saturday, November 24th, 2018, at Methodist University Hospital in Memphis, TN. Mrs. Jones was born February 19th, 1935 in Seyppel, AR. She was predeceased by her father Mr. Norfleet Keys Sr. and mother, Mrs. Matilda Keys. Survivors are her daughter, Mrs. Janice Gray (Reginald) of West Memphis, Ar, brother, Mr. Norfleet Keys Jr. of Chicago, IL, 3 grandchildren, 3 great grandchildren, and many other relatives and friends. The Funeral Service for Mrs. Annie Jones will be 10:00am, Friday, November 30th, at Beth Salem M B Church, Forrest City, AR. Interment will be in Forrest City Cemetery, Forrest City Arkansas.